It’s Sunday. It’s raining upon us, Vancouverites. Time to throw the laundry in. Gear up and Get Out. This has been a week to remember. Nesting in our new ground floor home near Fraser Street. Opening up boxes of forgotten belongings, some worth keep, some worth get rid. Getting our pantry back in shape – basic needs – spices, canned tomatoes, oats. Georgia has her own room, to play and drift away in fantasy and stories (and to sleep one day). She has a particular passion for the outdoors (don’t we all do?). 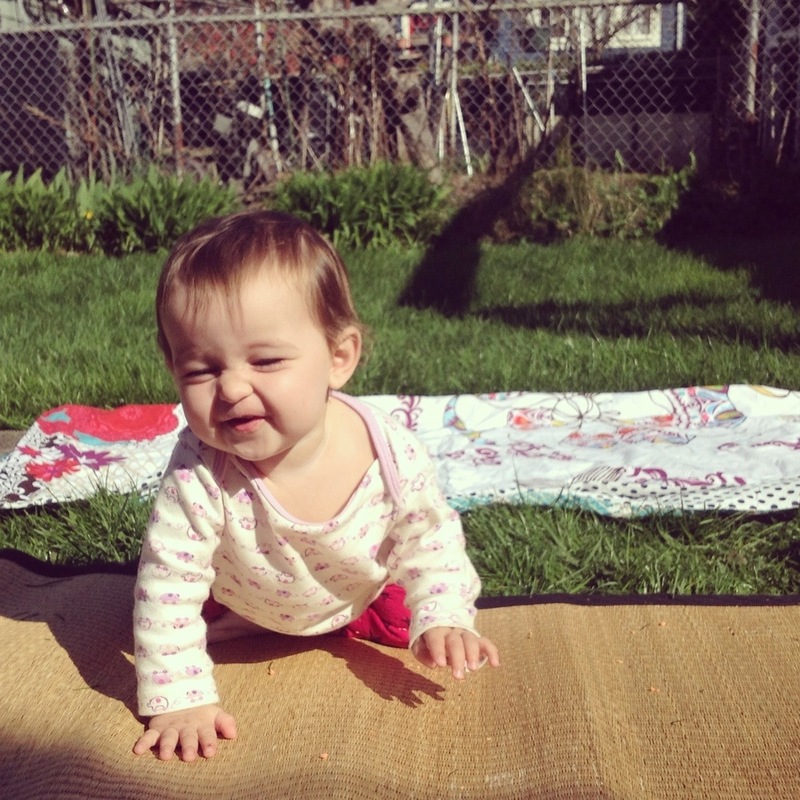 Happy to crawl on humid grass and play with twigs while papa weeds. It’s a new dawn.